Very good! Staff were friendly and helpful. Breakfast was good, the room was nice with a comfortable bed and a good quality shower. Would definitely recommend. The arrival and departure experience was quick and efficient. The stay was very good value with a good quality continental breakfast. The rooms were to a good standard and were well maintained and clean. The very large bed was exceptionally comfortable. Stayed 3 nights visiting Castres for the first time to see a game of rugby. Very clean hotel with friendly staff. Very convenient on the outskirts of Castres with a free bus service into town just 10 minutes walk from the hotel. We will definitely stay again when we return to Castres. just one complaint: sort the sign out at giving directions to hotel from road. I booked this hotel as it advertised fibre optic wifi and the two previous Ibis hotels I have stayed in with this have provided excellent internet speeds. Not is Castres the download speed was 5Mb and upload less than 1Mb. As it was the only reason I booked this hotel, it was very disappointing and hence the score. Makes me wonder if I can trust the website descriptions now. A little further out of the town centre than we had thought, especially when carrying luggage. (10 euro approx taxi fare). Very comfortable room, good breakfast choices and helpful friendly staff. 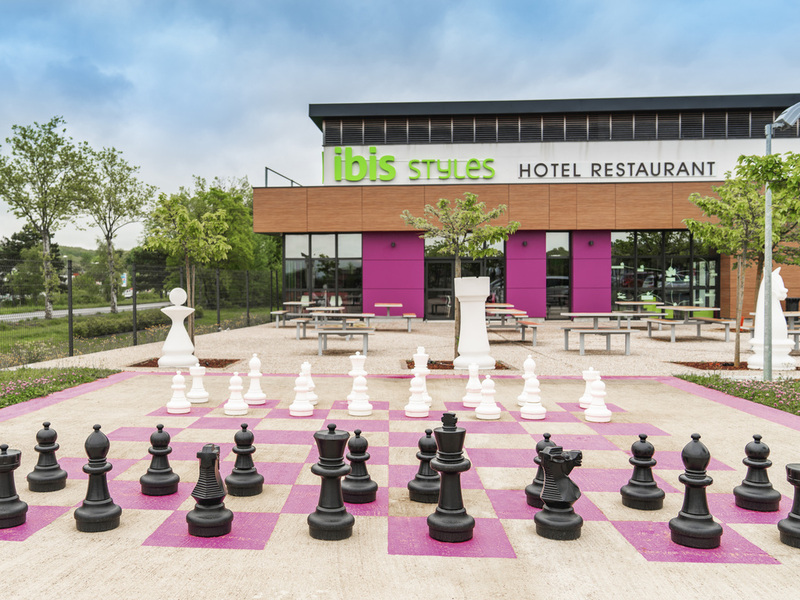 Everything was fine and as expected from Ibis Styles. I would say however that the failure to offer any sort of meal/snack on Sundays is dissappointing especially after travelling a long distance. A pleasant hotel with very friendly staff. Everything was as it should be. Very good hotel well situated, very nice staff. All perfect. Nice, modern, extremly clean, and big room. Very good breakfast.